IT’S BEEN QUITE A YEAR AT RESOURCE. A new design director, new team members, new office space, new clients, engagements, weddings, babies – and a new website that captures it all. Change is good and absolutely necessary to stay relevant and competitive in today’s marketplace. We felt the time is now to refresh our own brand to reflect who we’ve become as a company over the last 13 years. 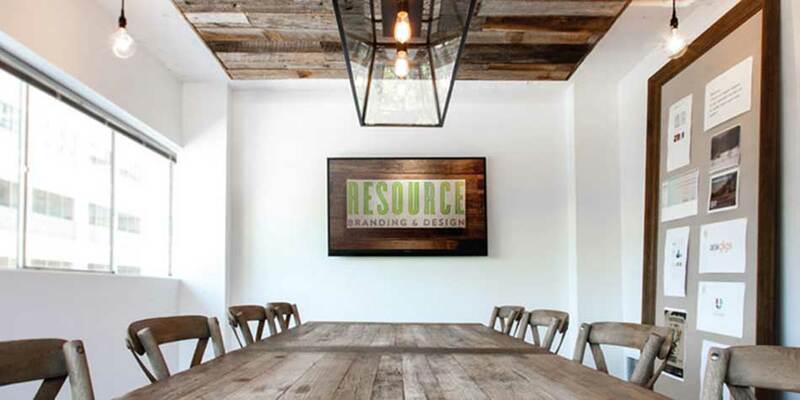 Our name change to Resource Branding & Design is reflective of what we really do for our clients. We will continue to stay focused in and around the real estate industry – that is our specialty and what truly inspires us. The design of our new logo, website and office space is symbolic of who we are and how we work – approachable, efficient, energetic, focused on design, good communication and most important, our clients’ success.